The 23rd annual 5K RUN and 1 MILE RACE/WACKY WALK was a tremendous success! 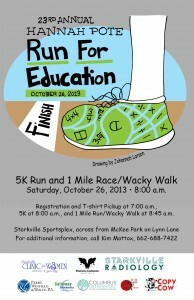 All race proceeds will benefit the Starkville School District through SFPE Teacher Grants, Special School Projects, and two $500 Student Scholarships. 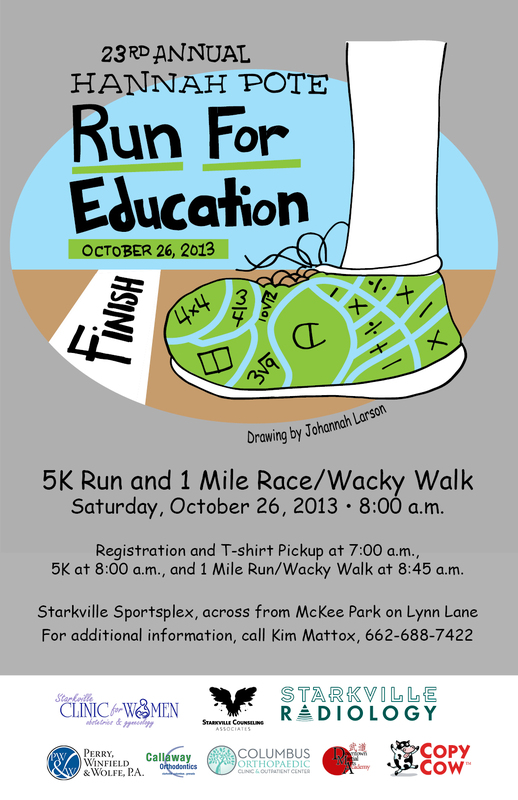 Many thanks to our corporate sponsors and to the Starkville community for supporting this event! Perry, Winfield & Wolfe, P.A.